Like many sports movies before it, “High Flying Bird” is about changing the game. It is a classic example of an underdog story about a group of misfits attempting to achieve the impossible, which, in this case, is redefining basketball. But “High Flying Bird” isn’t really about the game of basketball; it’s about “the game on top the game,” the one played not on the court but in skyscrapers where the Players Association and the owners compete with their wits instead of a ball over division of revenue. The result is a fascinating story about labor and capital and a truly rousing cinematic experience. Negotiating over division of revenue is a game that director Steven Soderbergh is also invested in, not in professional basketball but in film and entertainment. Soderbergh has openly expressed his frustration with the Hollywood studio system and has consistently looked for new methods of independent film production and distribution that will flip the industry upside down. This is his second movie shot completely on an iPhone and his first movie distributed straight to Netflix. His first iPhone movie was the low-budget thriller “Unsane,” which was a huge financial success considering its rate of return. Soderbergh also succeeded in distributing 2017’s “Logan Lucky” without a distribution company and with all the proceeds going to the talent, both in front of and behind the camera. And now with “High Flying Bird,” Soderbergh aims to reinvigorate his love for filmmaking by telling the story of placing the power back in the hands of the athletes or, in his case, the artists. 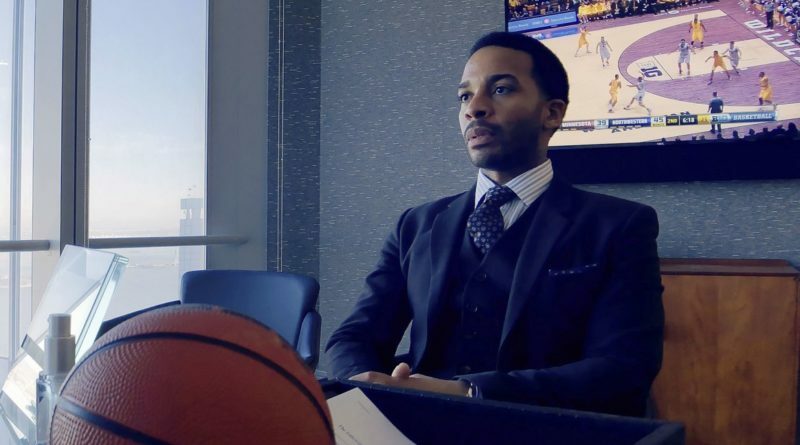 Despite the film’s obvious significance in regard to Soderbergh’s personal mission, “High Flying Bird” pays plenty of attention to the intricacies of the world of professional basketball. 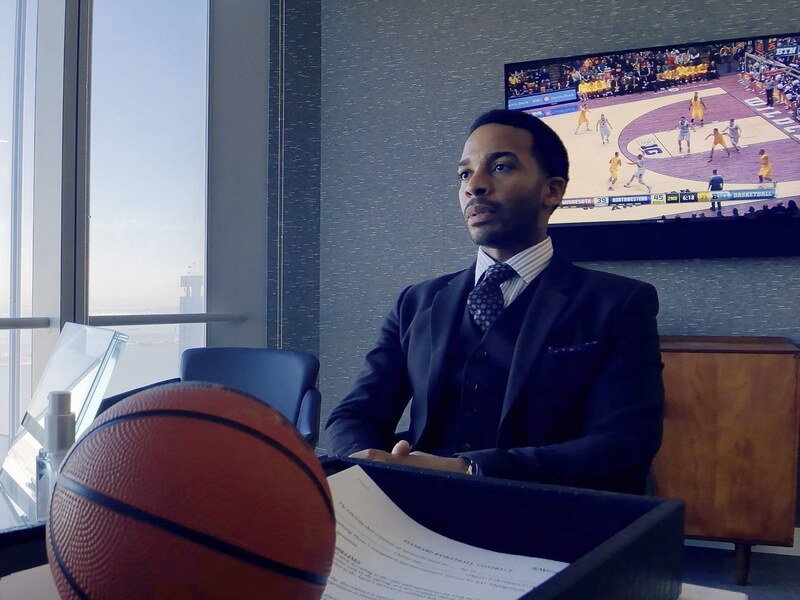 The film follows sports agent Ray Burke (André Holland) as he traverses the rocky terrain of corporate culture in the NBA during a fictional lockout. The most recent lockout in real life was in 2011, which lasted 161 days and was caused by the same financial disagreements between the Players Association and the owners that are depicted in the movie. Recently hired by the number one draft pick Erick Scott, Burke does his best to end the lockout and keep his agency afloat and his players happy. However, when Erick gets in a Twitter fight with a player on his own team that culminates in an emotionally charged 1v1 at a charity event, Burke is presented with the brilliant idea of starting a player-run league to give the owners a run for their money during the lockout. This exciting development drives the plot of the film and sets up its insouciantly charismatic cast with plenty of opportunities to flex their muscles during their many altercations and breathtaking soliloquies in this wordy corporate drama. Due to its political approach to basketball, one could compare this film to 2011’s “Moneyball,” although the comparisons would not be particularly favorable to the former. Similar to how “High Flying Bird” focuses on the story of agent Ray Burke, “Moneyball” centers itself around general manager Billy Beane. In both movies, the camera is not on the players but on the individuals behind the scenes and how they change their respective sports forever. “Moneyball”, however, has more to do with baseball itself than what baseball represents in the grand scheme of capitalism; it tells its story through a romantic lens that reaffirms the beauty of baseball in spite of its bureaucratic angle. “High Flying Bird,” on the other hand, is filled with political subtext and intellectualism that is undoubtedly fascinating, albeit lacking of the same kind of sentimentality one would expect from a sports movie. At a dense 90 minutes, the screenplay, written by Tarell McCraney (“Moonlight”), leaves you with a lot to think about, and it packs quite the punch. But it does not have the blood, sweat, and tears and the big beating heart at its center that “Moneyball” has, which were sports movie cliches that this particular viewer sorely missed. Thankfully, throughout the film, Soderbergh disperses interviews of three NBA players: Reggie Jackson, Karl-Anthony Towns, and Donovan Mitchell. Merging documentary filmmaking with fiction, Soderbergh provides the much-needed perspective of real life athletes in a film practically devoid of actual basketball. Their first-hand accounts of their experiences as rookies and their subsequent careers illuminate their true reason for playing the game and why it matters so much to them, a reminder of what really is at stake. Despite its flaws, “High Flying Bird” is an exhilarating movie with even more exhilarating implications. The use of an iPhone was a complete success with its wide angle and deep focus, giving the film a slick look that matches its slick tone and story. Its distribution methods also pushed the boundaries of technology’s capabilities, taking advantage of streaming services’ rapid development in meaningful ways. This is a topic absolutely worth discussing and looking out for as more and more filmmakers from the digital era emerge. “High Flying Bird” may not have completely dismantled the studio-dominated industry, but the first one through the wall always gets bloody. As a pioneer, Soderbergh took a huge risk for independent filmmaking, and I hope his success will lead to increasingly interesting and revolutionary results. But if it doesn’t, at least he got to hold the ball in his hands, even if just for a second.